Oven Cleaning Richmond Park TW10 - Experience & Fair Rates | RDA Cleaning & Maintenance Ltd.
RDA Cleaning & Maintenance Ltd. is a provider of a high-quality oven cleaning services for your residential needs. With years of experience in domestic cleaning, we strive to give you only the best of services at an affordable price. With our fully insured oven cleaners in Richmond Park TW10 and list of service, we are happy to say that quality has found its home in the entire London area. Dear customers, from now on we offer you top-notched domestic and commercial oven cleaning services in Richmond Park TW10 at a fraction of the cost! 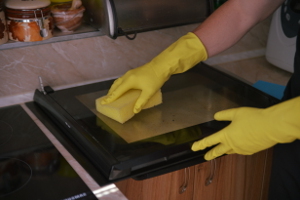 Don`t hesitate to lean on our high quality oven cleaning company today. Give us a call on 020 3404 1646 right away! Get a free quote or ask for more details. We are at your disposal for reservations and questions 24/7! Ordering oven cleaning with us is fast, safe and free of charge!